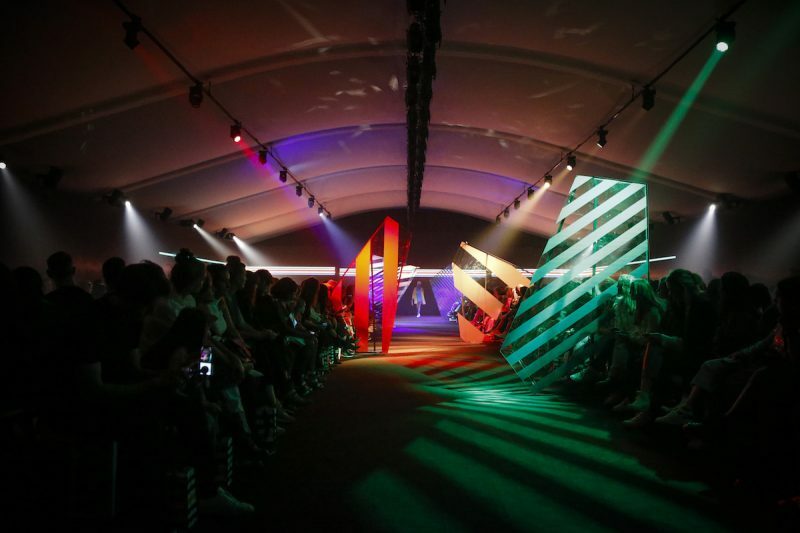 Saturday afternoon Hudson’s Bay invited all of it’s guests for a front row fashion show experience. 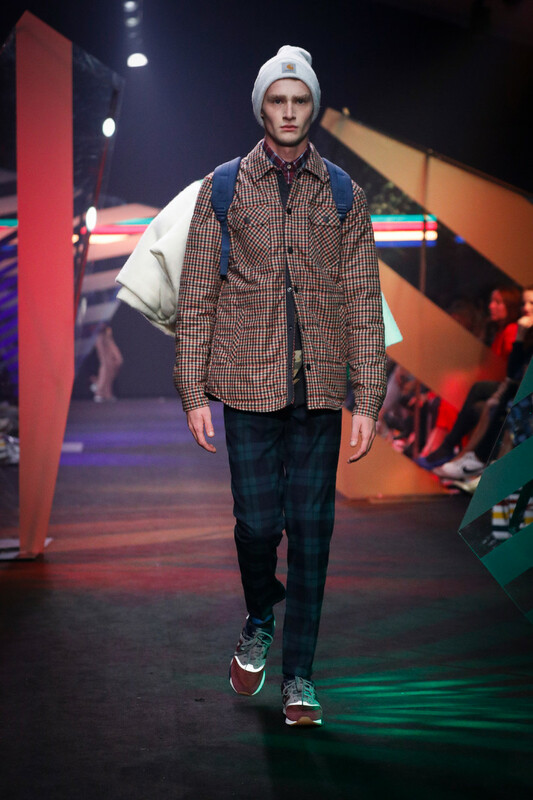 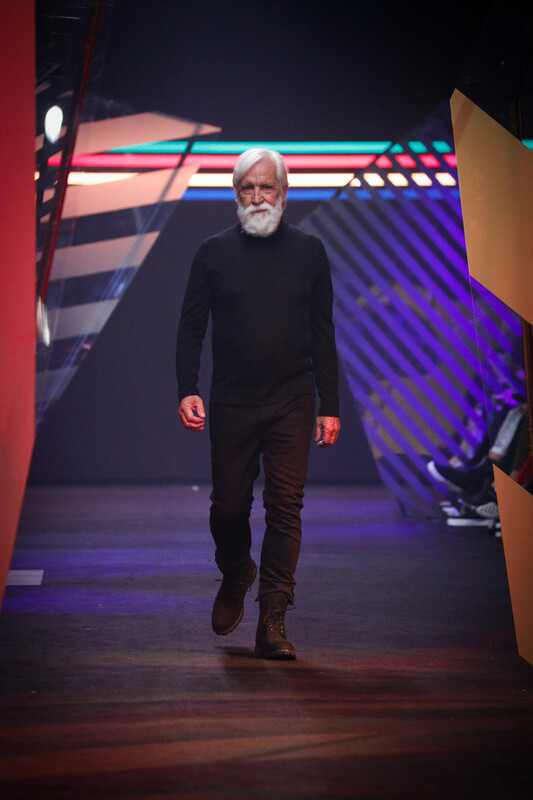 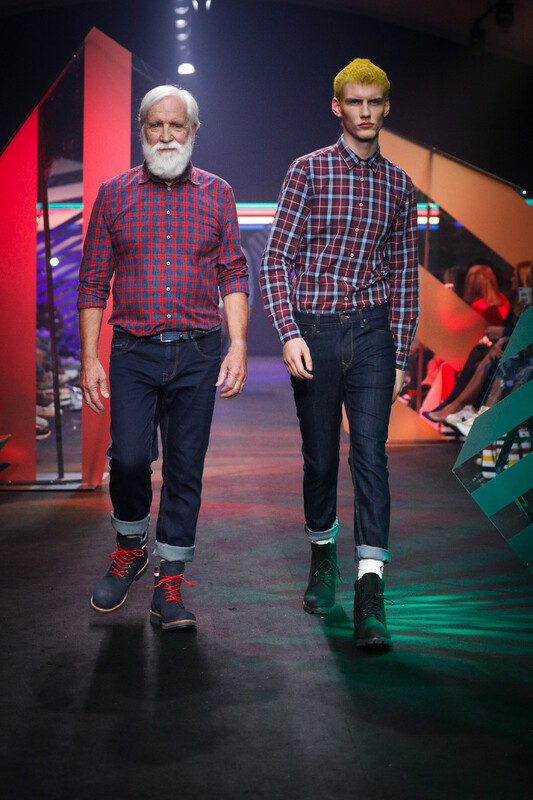 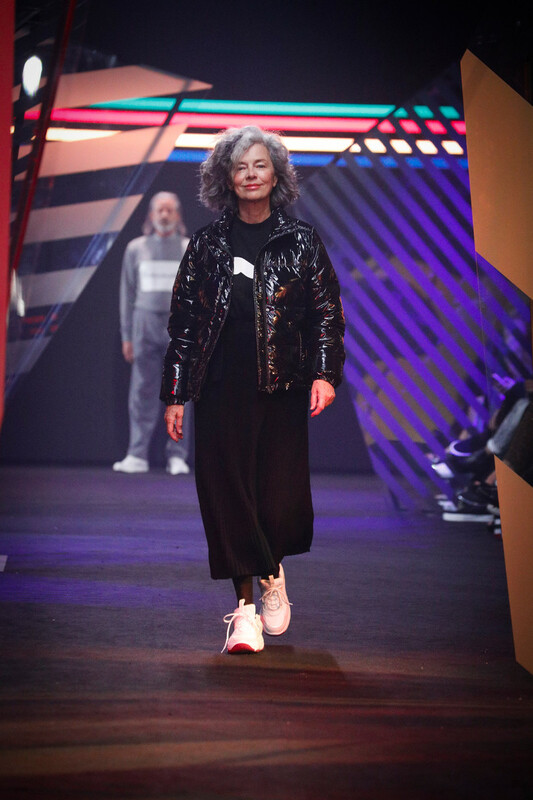 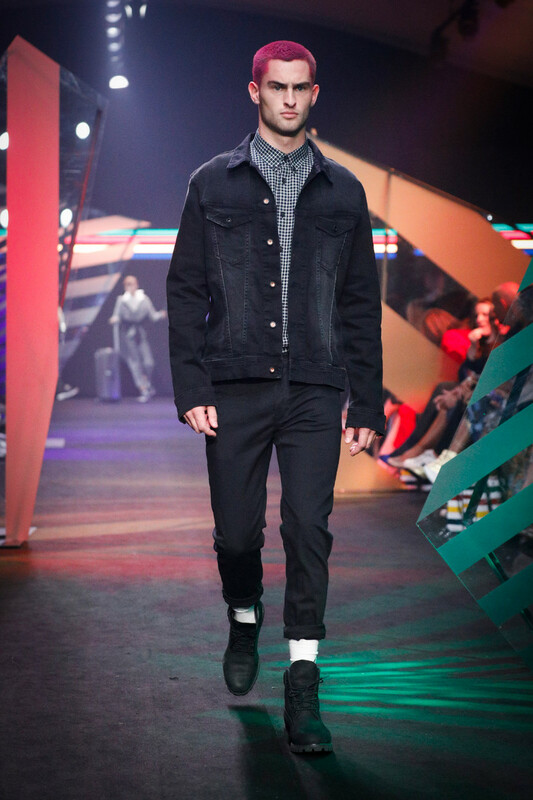 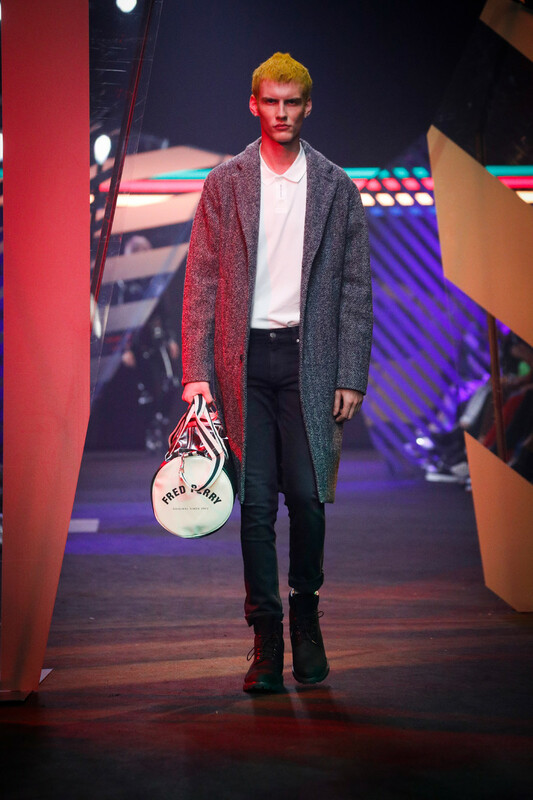 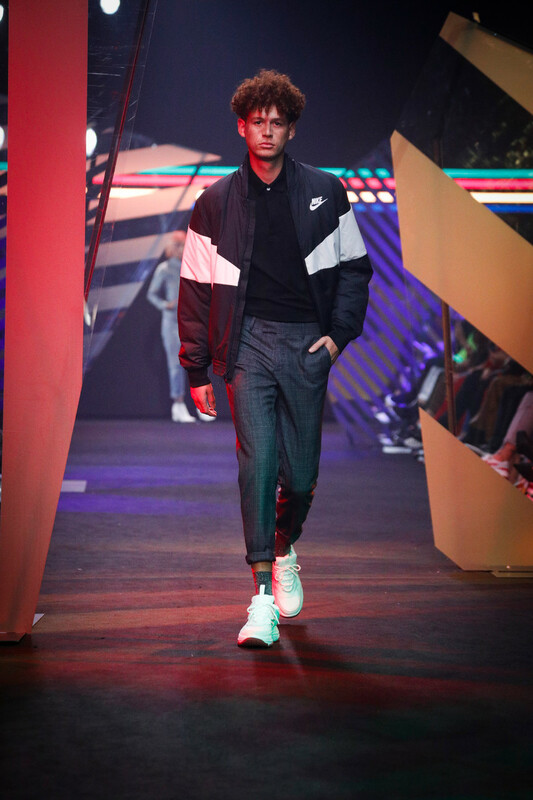 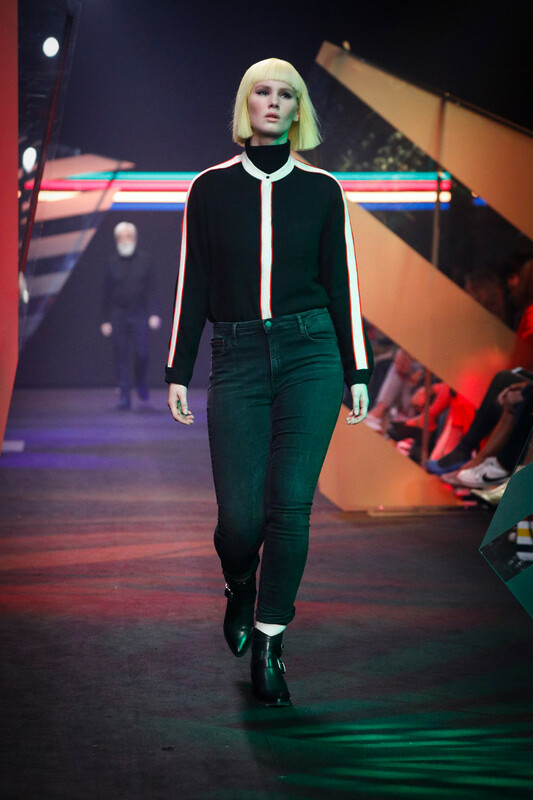 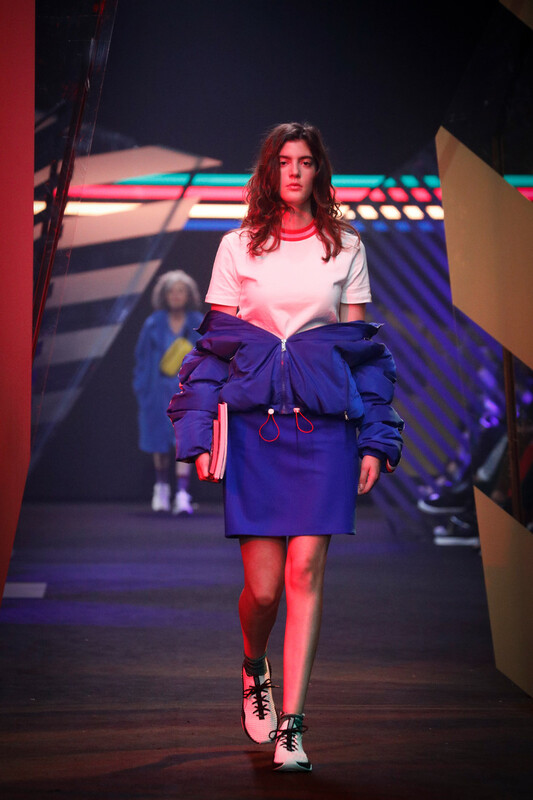 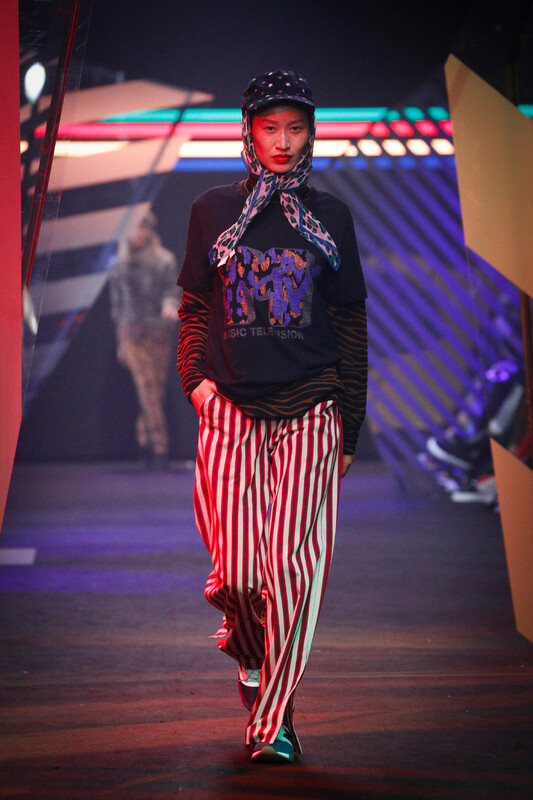 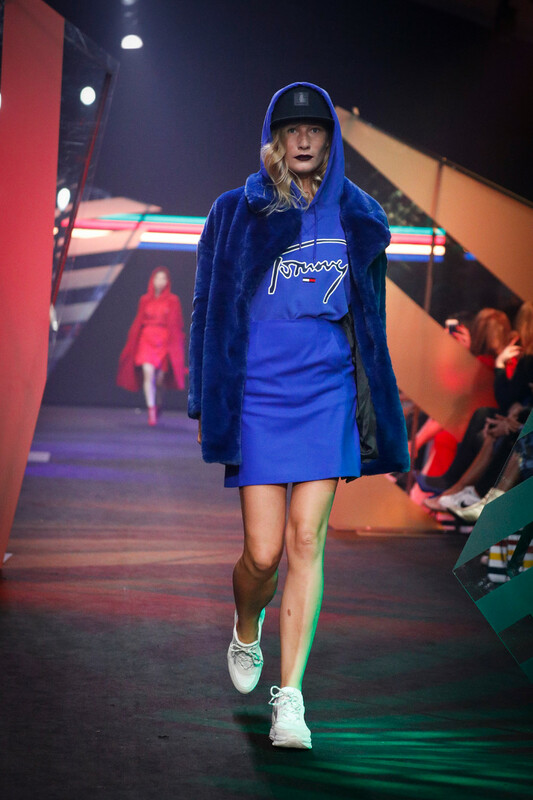 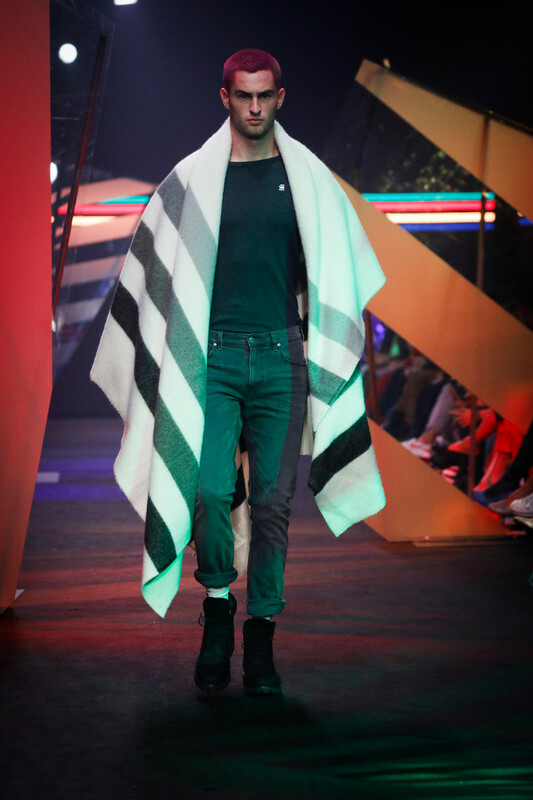 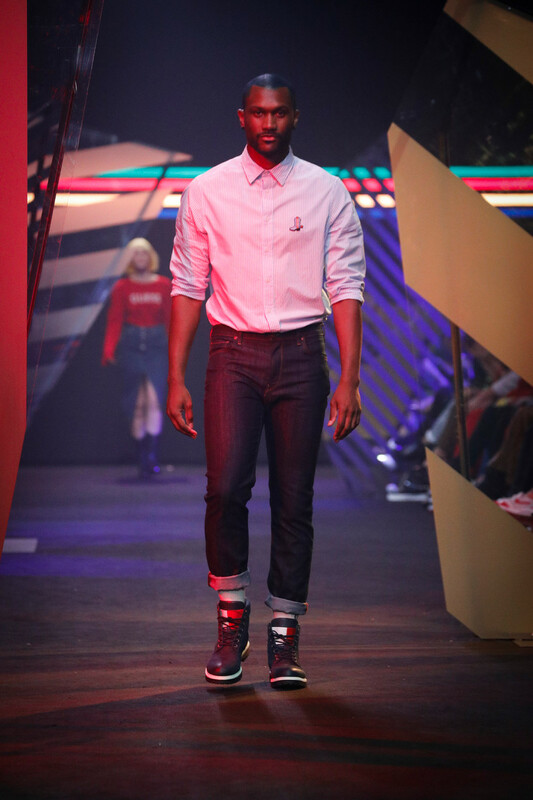 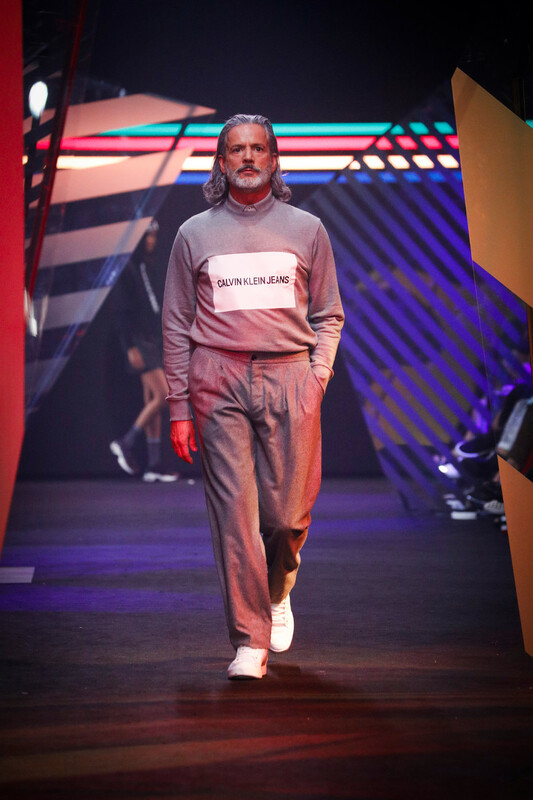 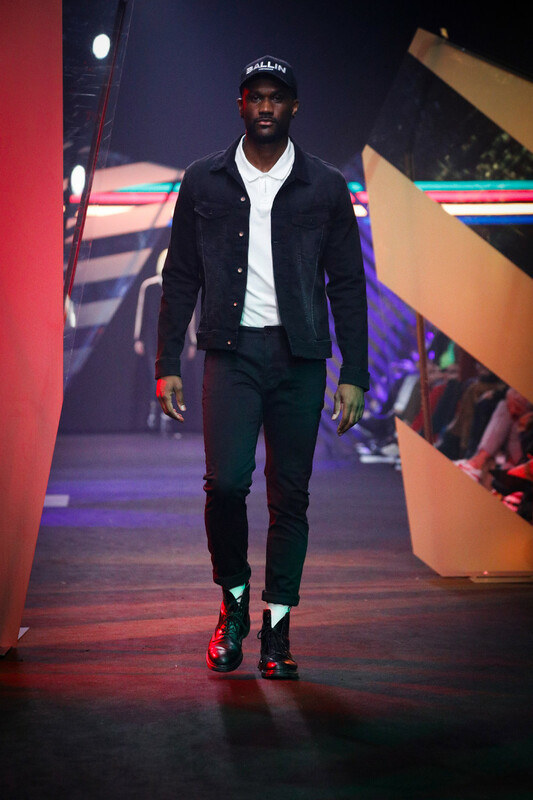 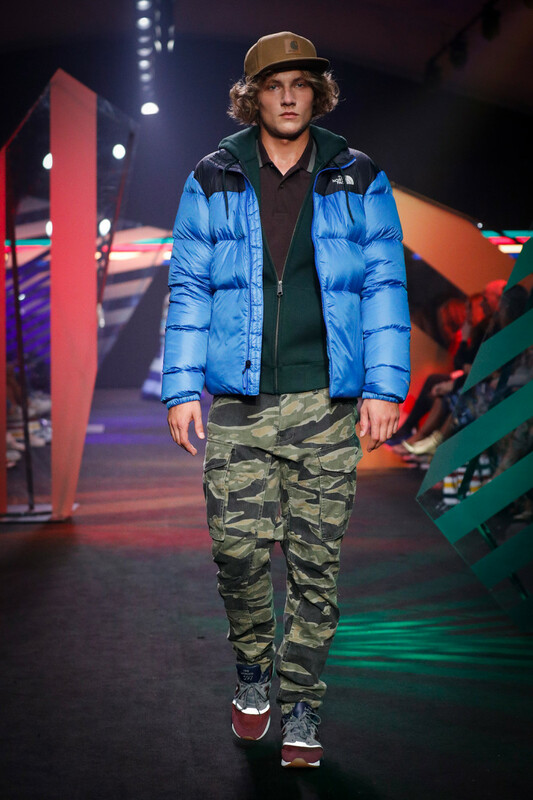 The warehouse presented 60 fall/winter2018 looks on a runway decorated with the warehouse’s familiair stripes for their young and older consumer. 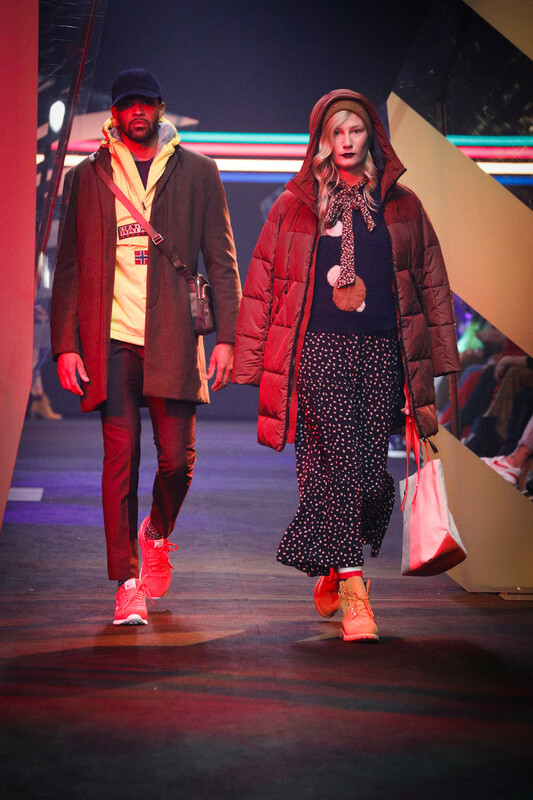 The looks, all very colorful, formed a contemporary mix of the labels Hudson’s Bay sells, from Max Mara and Adidas to CK Jeans and Tommy Hilfiger. 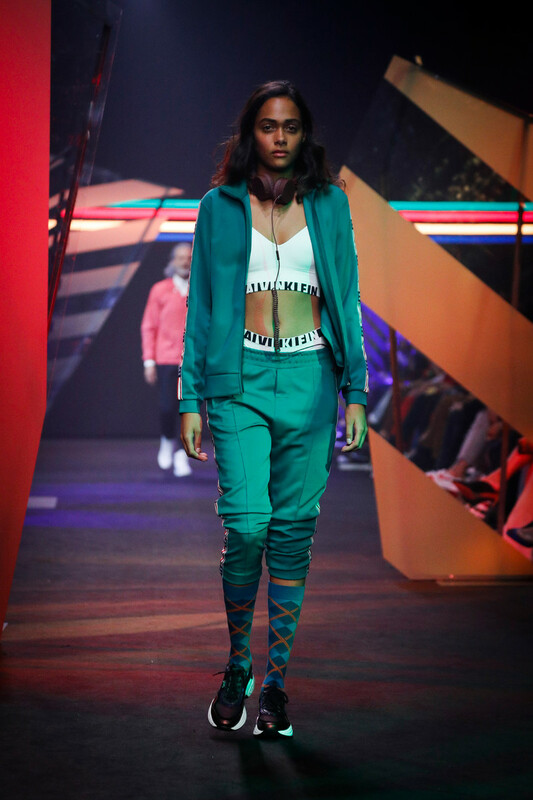 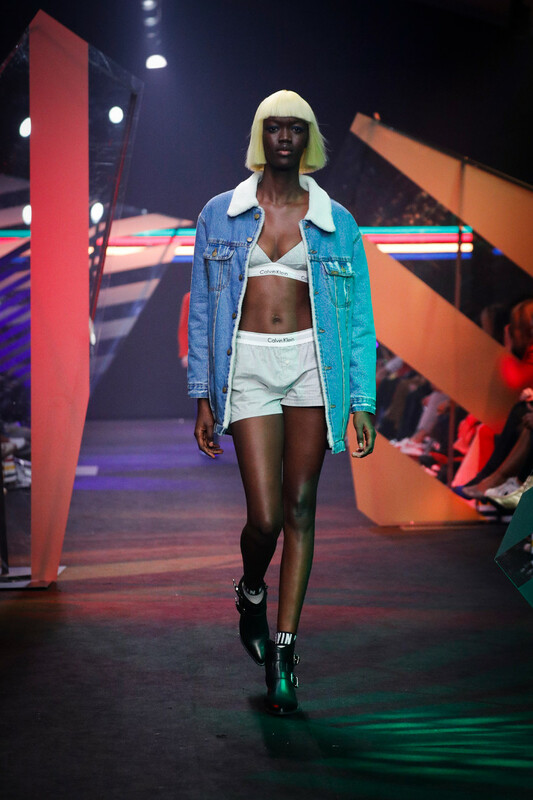 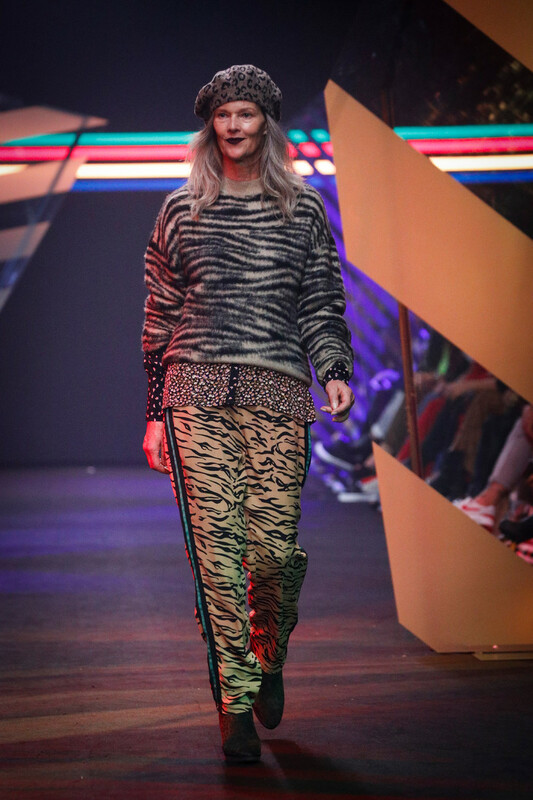 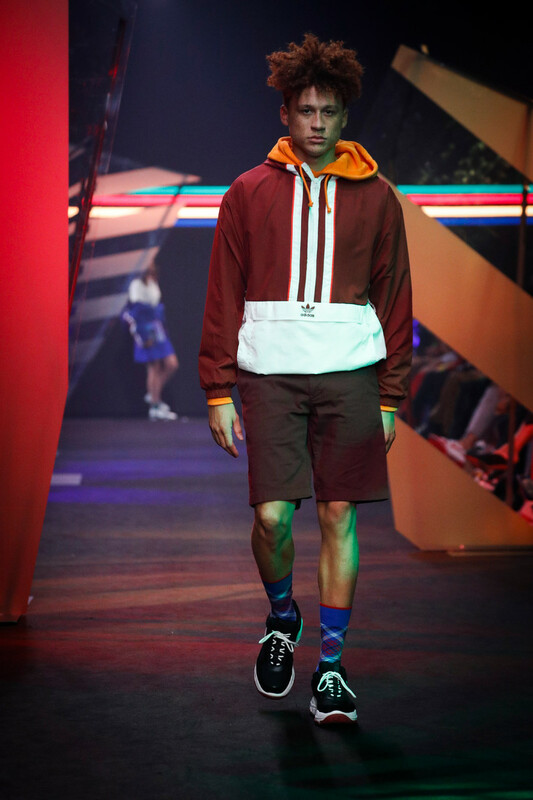 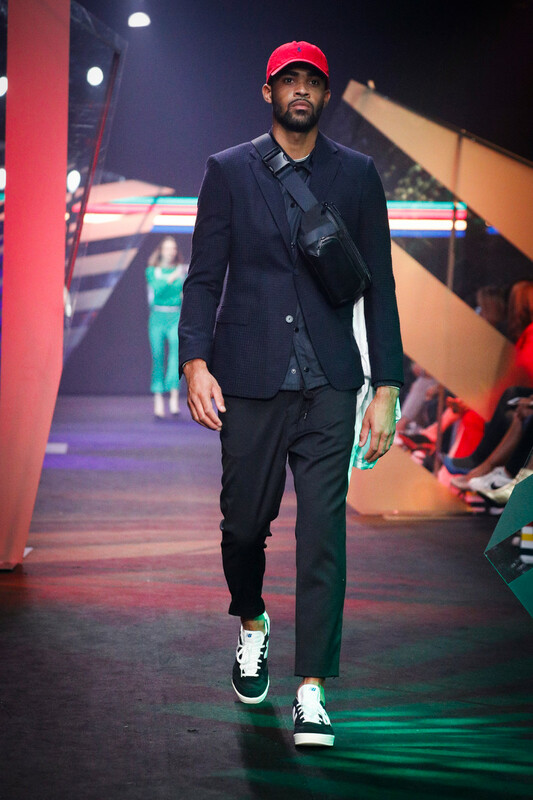 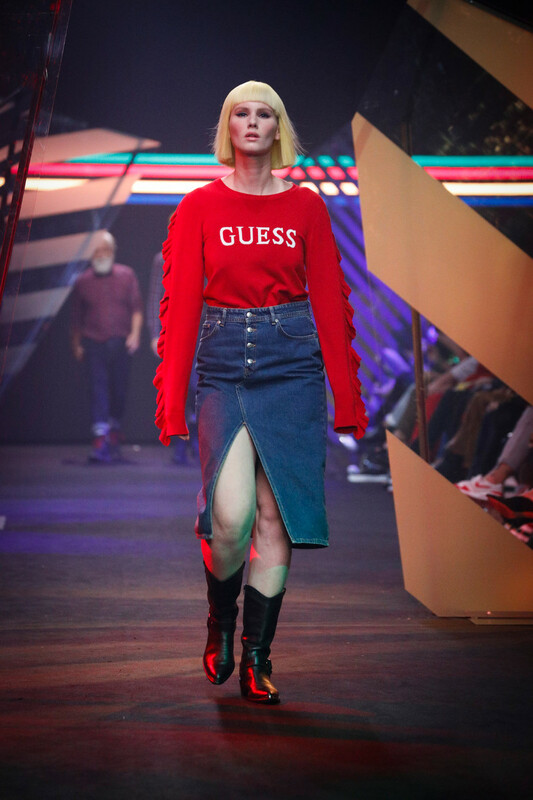 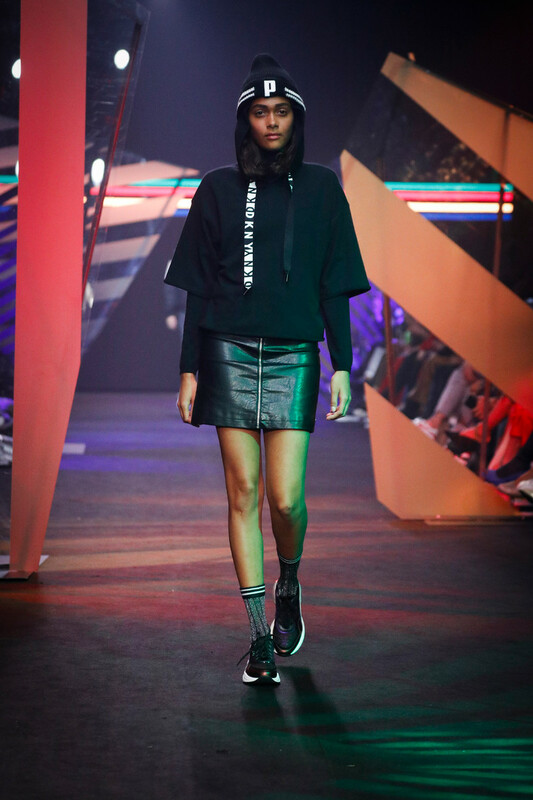 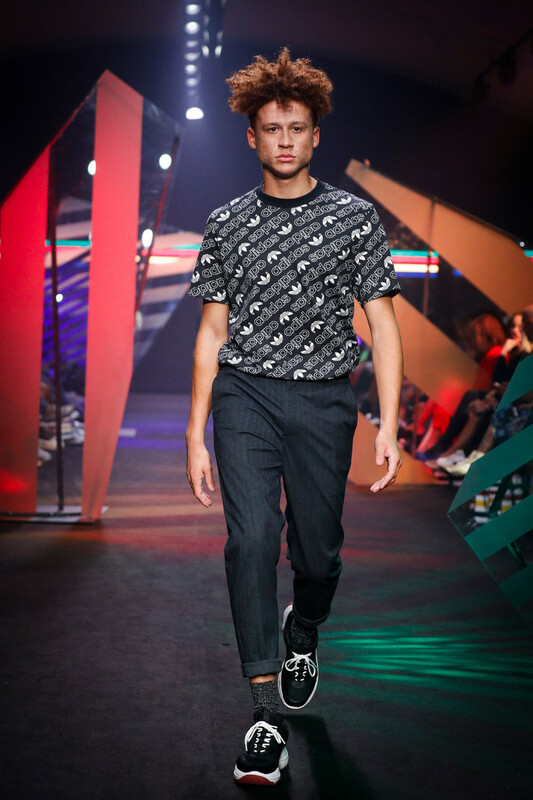 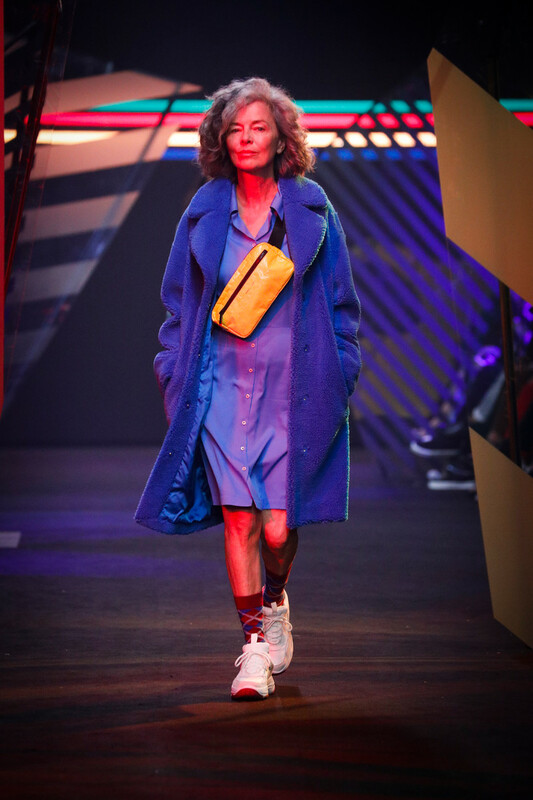 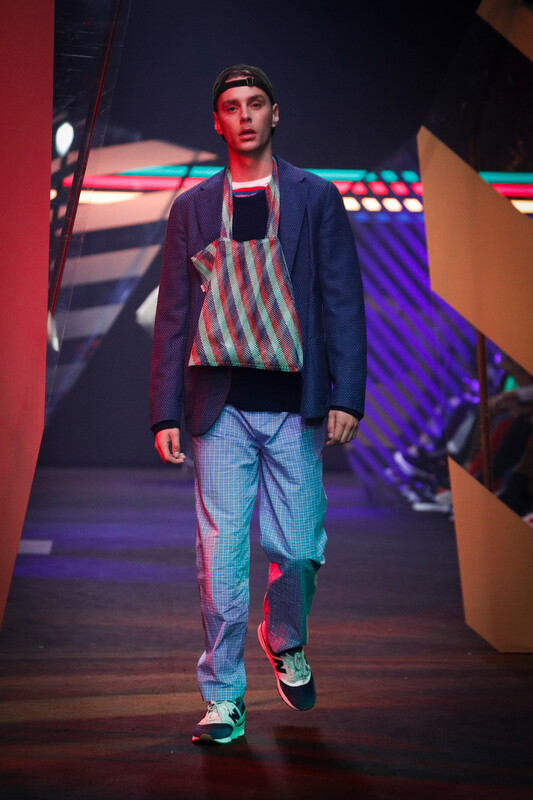 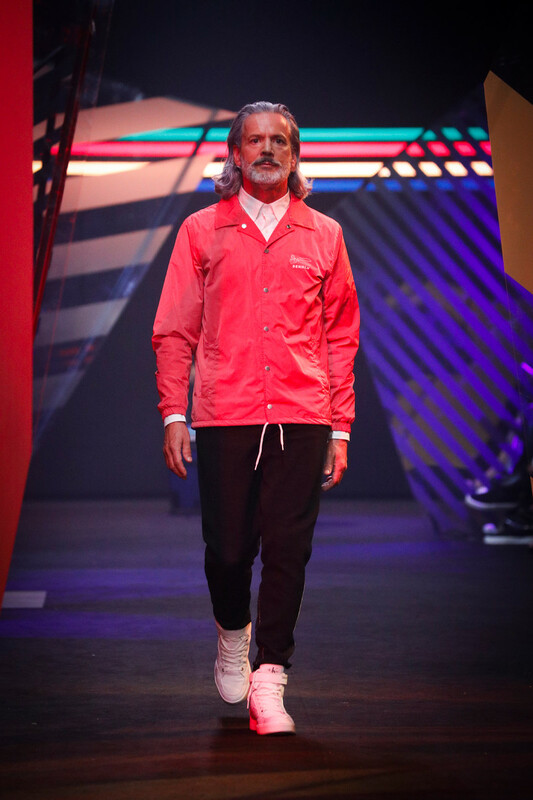 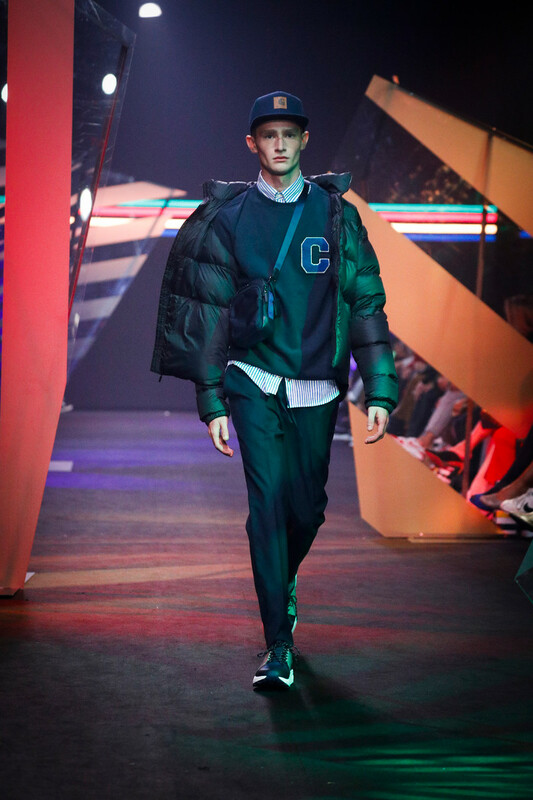 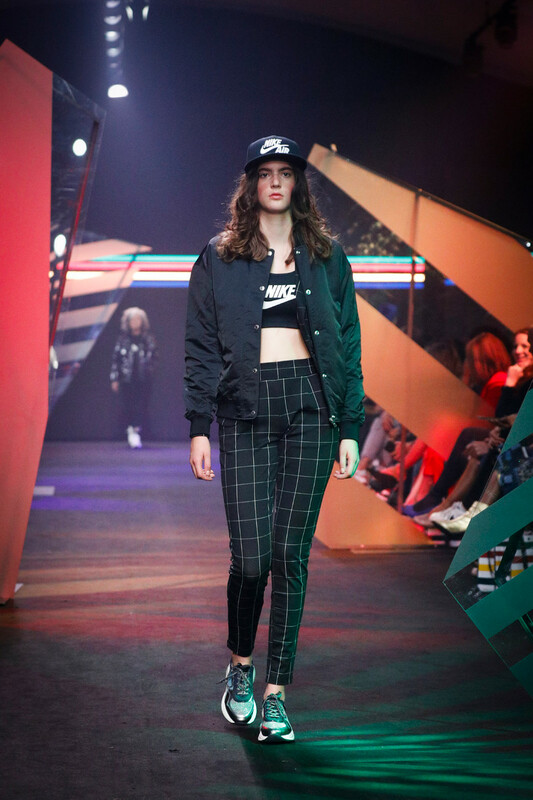 The models, varying in age, gender and size, were styled (by 3 different stylists) very streetwise; beanies, logo underwear, caps, dad sneakers, sport socks and fanny packs all over. 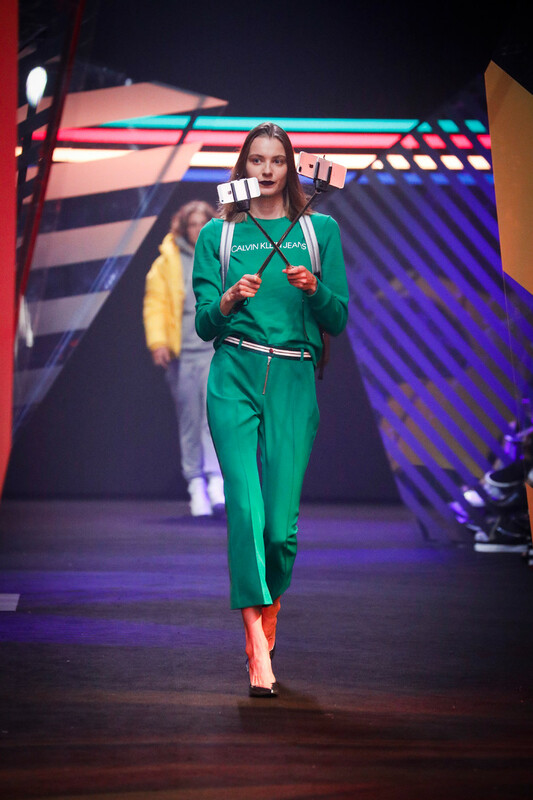 All looks appeared extremely wearable and the few pieces from the department’s store home section (selfie sticks, suitcases, blankets and Smeg and Hay items on display) blended in just perfectly. 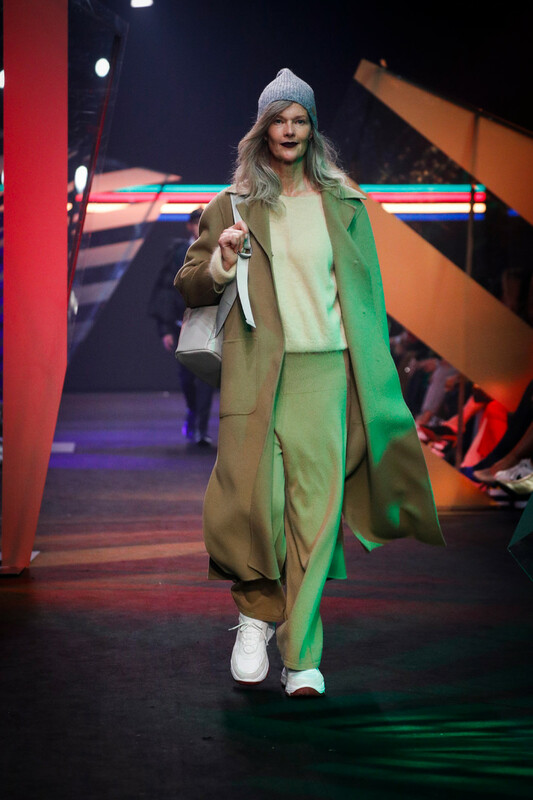 A camel coat worn by a grey haired lady with camel pants, a beige sweater and a grey beanie seemed the ultimate f/w outfit for women of all ages. 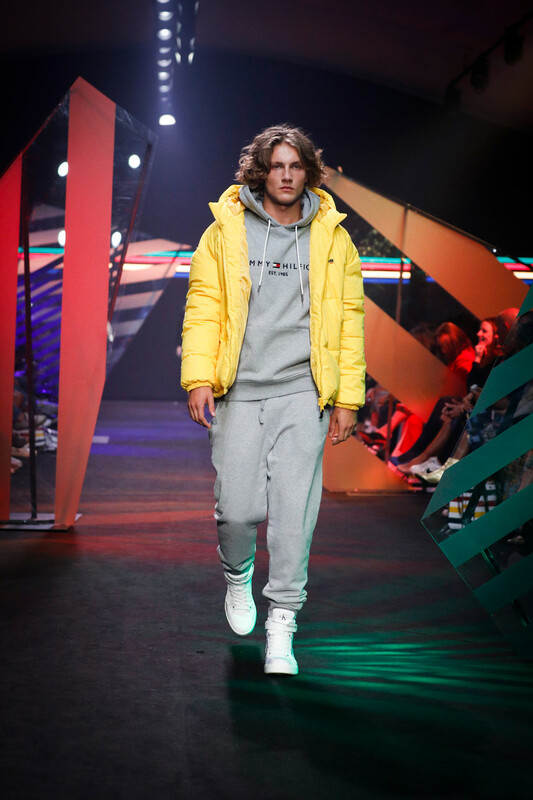 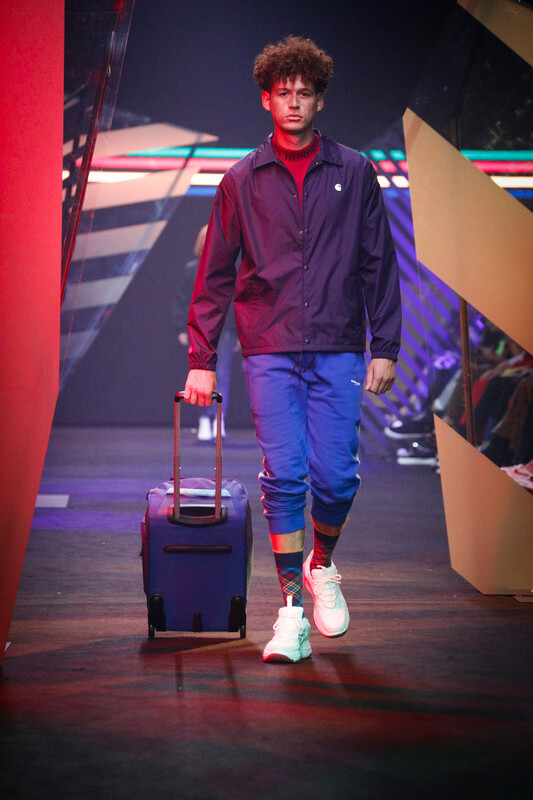 The Tommy Hilfiger tracksuit a male model sported with a puffy yellow jacket looked cool and comfy. 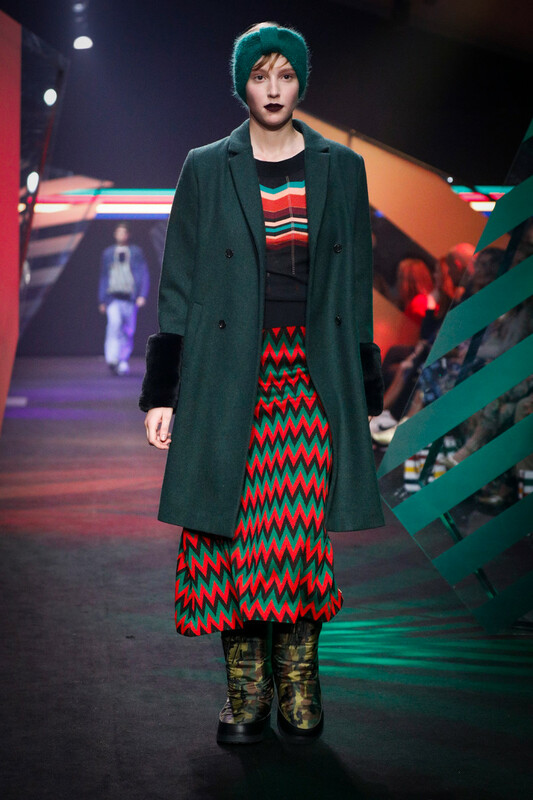 A completely red look (boots, skirt, hoodie and coat) looked extremely desirable. 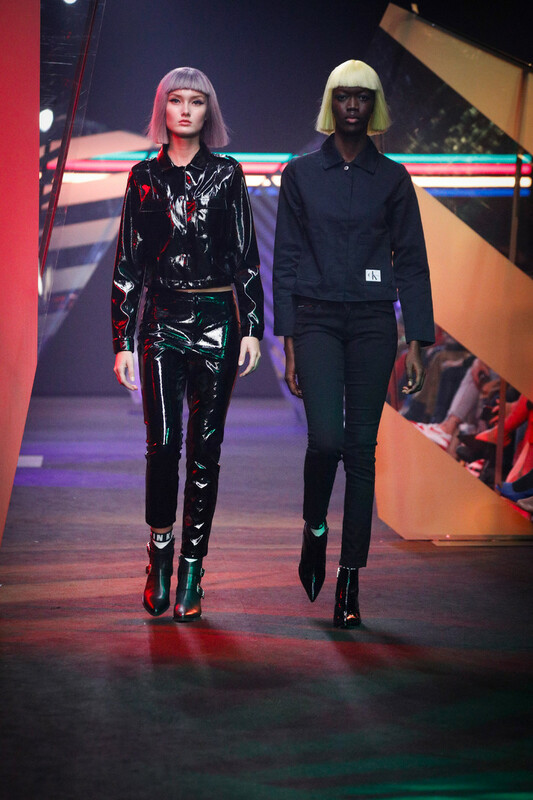 Lucky us all looks are available straight away, in stores and online. 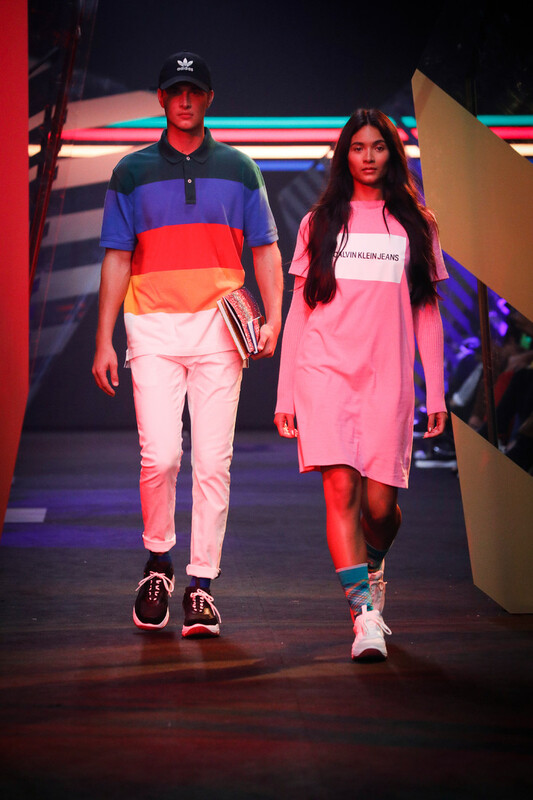 Hudson’s Bay See now, buy now formula in full effect.